To begin your Volvo 740 parts search, click a year from the list above, or use the Vehicle Selector at the top of the page to choose your exact Volvo 740. The Volvo 740 was a more affordable version of the luxury 760. The 740 was intended to be a mid-sized car that offered more performance, style, and comfort than the 200 series. The "4" in the middle of a Volvo model name used to signify a four-cylinder engine, but by the time the 740 was introduced in the United States in the 1985 model year, four and six cylinder engines were fitted across the range. The Volvo 740 was produced until 1992 and came in both sedan and wagon versions. In 1990, Volvo swapped out a number of the old Volvo 740 parts for new, improved versions. The B200 and B230 motors received larger connecting rods. The electronic fuel injection system was upgraded to offer onboard diagnostics which are accessible from the engine compartment and require no special equipment. The late model 740s represent one of the most reliable four-door sedans of its era due to the solid build quality and very few engineering limitations. 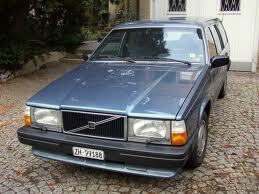 eEuroparts.com offers a wide variety of Volvo 740 parts in both genuine and aftermarket. Whatever you're looking for, we carry the Volvo 740 parts you need. 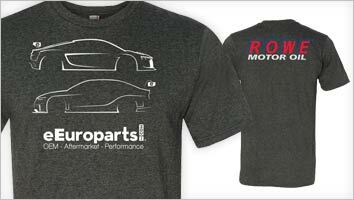 As always, free shipping is available on orders over $50.